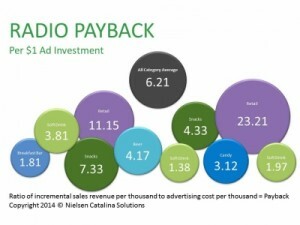 Radio had the best Return on Investment (ROI) in a study of 10 brands from last year. Brands averaged a sales lift of more than $6 for every $1 spent on radio ads – an ROI double that of even the best results from many recent studies of digital or TV media, including one from France and Coca Cola that Facebook recently touted. One retail brand delivered an almost unheard of $23.21 in sales lift for every $1 invested, though a soft drink brand at the low end of the range delivered a more pedestrian $1.38. Have you ever heard Satellite radio used as an objection by a potential advertiser or listener? “Why should I buy your station when so many people are listening to XM?” This was a comment a sales rep passed along to me during a recent station visit. I responded by saying that everything I see indicates that satellite radio has such a small share in Canada that it is not an issue. I encouraged the sales rep to go back and uncover the real client objection. Recently BBM released Canadian data that supports my belief. In short, it shows that very few people are using satellite radio. Across Canada of the 91,267 people who completed a BBM diary, only 4.8% of adults 12+ reported tuning to satellite radio at some point during the measured period in the Fall of 2013. They are also not spending very much time listening when they do tune with just 2.2% of quarter hours spent listening to satellite radio. Those that do listen to satellite radio tend to be male which is no great surprise. But they also tend to be older. So those that do listen are older males which as we know are often the advertising decision makers. Perhaps because they tune to satellite radio they assume that some of their customers do as well. In reality the numbers tuning to satellite radio are below the margin or error in Canada. My take on this BBM research, when I combine it with all the other data that is available, is that satellite radio is getting very little traction in Canada even with so many new cars coming off the production lines with free satellite radio service included. Most people still prefer to tune to a local radio station for local news, weather, traffic conditions as well as hearing their favorite music and personalities. (19 March 2014) Newcap Inc. has finally received CRTC approval to acquire five stations that Bell were forced to sell as part of the Astral purchase last year. They include two stations in Toronto (CHBM-FM & CFXJ-FM) and three stations in Vancouver (CHHR-FM, CKZZ-FM & CISL) . The CRTC increased the value of the stations to $125,970,603 which means Newcap will have to spend $7,558,236 in tangible benefits over seven consecutive broadcast years. Even at this price Newcap got a bargain, and this gets them into the two largest radio markets in Canada. 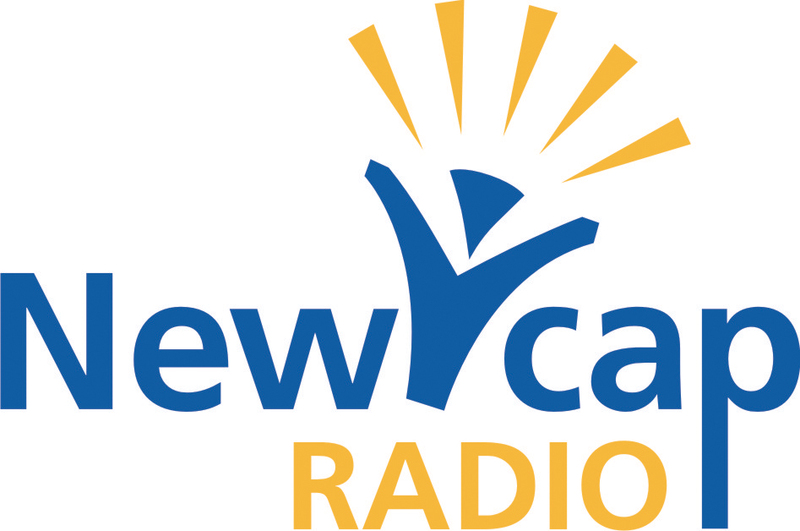 The CRTC has approved an application by Newcap Inc. for authority to acquire from Rogers Broadcasting Limited the assets of the English-language commercial radio station CHNI-FM Saint John and for a new broadcasting licence to continue the operation of the station. The Commission also approves the applicant’s request to delete conditions of licence relating to the station’s programming. This will allow CHNI-FM to move from a News/Talk to a music format. Finally, the Commission approves an application by Newcap to change the authorized contours of CHNI-FM. Radio is easy to use, it’s live and it’s human. It sounds simple, and it really is. For more than 80 years radio has survived and prospered by being the easiest of media to use. Wake up in the morning, have a shower, get in the car, turn on the radio. Radio has a special place in our daily media mix. It’s our companion in the car and our friend in the shed. Feeling lonely? Turn on the radio. Australian radio station, 2Day FM, has won a court appeal, with the new verdict finding the station broke no laws during the royal impersonation prank call in 2012. Michael Christian and Mel Greig had impersonated the Queen and Prince of Wales in a phone call to the hospital where the Duchess of Cambridge was being treated. In November 2013 the station was found in violation of laws and licensing agreements but this week their appeal was successful. Read the entire article from stuff.co.nz here. Canadian Music Week is pleased to announce nominations for the 17th annual Canadian Radio Music Awards. Drake, Metric and Tegan and Sara, are among those honoured. This year’s award show will take place on Wednesday May 7th at the Virgin Mobile Mod Club. Sponsored by Bell Media Radio, the Canadian Radio Music Awards celebrate first-time charted artists and honour individuals or groups with some of the most played songs on Canadian radio. The show will feature performances by Walk off the Earth, Trevor Guthrie, Head of the Herd, Tyler Shaw and Brett Kissel. Reaching younger listeners these days involves doing more than just broadcasting on the airwaves. Social media and internet programming have a large impact on that demographic. Using the power of YouTube and other visual social media can draw in these listeners and help you then drive them back to your site and your station. For example, President Barack Obama appeared in Zach Galifianakis’s program on Funny or Die, called “Between Two Ferns” as a way to reach out to this demographic. He wanted to spread word of his affordable health care plan to young people and went straight to where many of them will see his message. It helps that he has a good sense of humour and can play along and dish it right back to Zach. Edison Research has released the 21st edition of its ongoing “Infinite Dial” study. Started in 1998, the “Infinite Dial” gauges the impact of new digital platforms on more traditional media. As always, it is a fascinating and informative examination, which I hope you will peruse by clicking here. I am a big fan of The Wizard of Ads Roy H. Williams. Roy knows how to write great radio copy and has helped clients develop campaigns that have made them very wealthy. In this video he has some good advice on the importance of selling clients on your benefits and not trying to get the sale by badmouthing other stations or other media. He also has some interesting advice on a radio station should generate revenue via your online audio stream.